We are excited to let you know that we will be moving near the end of April to our new “home”! 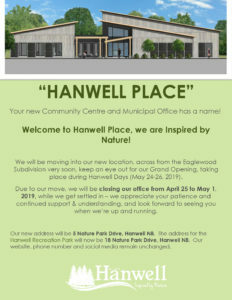 Our office at 5, 1757 Route 640 will remain open until April 24, then we will be closed until May 1 while we move to our new location at 5 Nature Park Drive (across from the Eaglewood Subdivision and next to the Hanwell Recreation Park). 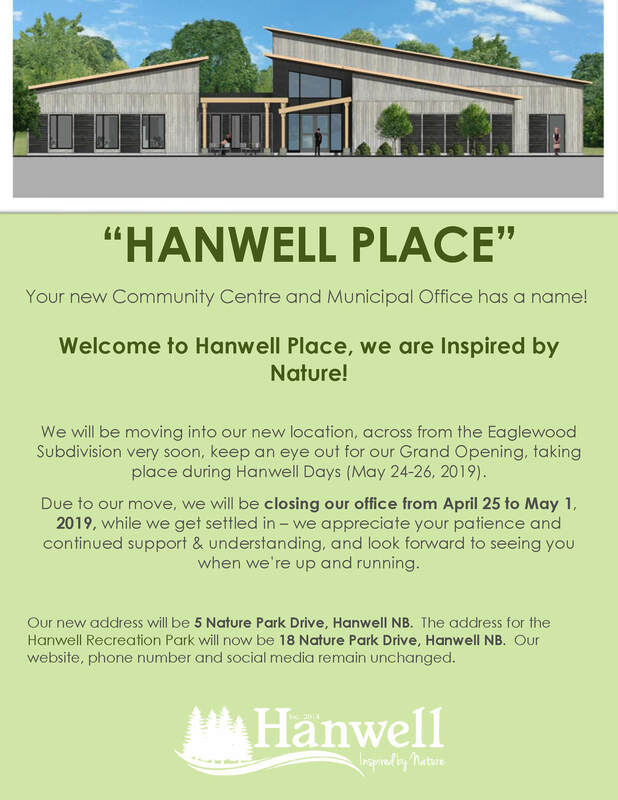 Please keep an eye out for the Grand Opening to take place during Hanwell Days (May 24-26, 2019), more information on this to come. We appreciate your patience, and continued support & understanding while we make our move; communication will be limited from April 24 to May 1, however, please rest assured that we will continue to monitor our social media throughout the move. We look forward to seeing you after May 1!